There are harbingers of spring in the garden. Eggs and herbs. Flowers and spots of sunshine. I’d like to say that this rhubarb jam is a celebration of my first harvest of the year, but it’s not. The rhubarb still has a ways to grow. Instead, this jam celebrates a more mundane annual ritual: cleaning out the freezer. While fruit picked at the peak of ripeness and made instantly into jam preserves some of the flavor of summer, frozen fruits (or vegetables, in rhubarb’s case) are a perfectly acceptable alternative. And when it all gets to be too much for us in the summertime–all the plums ripen at the same instant I find myself unable to resist a box of peaches at the market and my brother offers to bring a haul of rhubarb to town–well, into the freezer it goes. And at this time of year, when our kids have eaten through our obviously-inadequate annual supply of jam, we’re glad to have summer’s bounty patiently waiting for us to deal with it. In the past few days, we’ve made peach, yellow plum, Italian plum, plum-ginger, and this rhubarb jam. We canned most of it, froze some, and experimented with making a sticky jam tart. And hopefully these 35 jars will hold us over until summer comes again. Rhubarb and Brown Sugar Jam: Remove and discard the leaves from as many rhubarb stalks as you plan to use (remember that rhubarb cooks down quite a bit) and wash well. Slice into 1/2″ rounds and place in a pot with a splash of water or orange juice, just enough to keep the rhubarb from sticking until it starts to release its own liquid. Add a bit of white sugar and a bit of dark brown sugar (if you plan to can your jam you must use at least 1/2 c. sugar per quart of fruit). Cook over medium heat, stirring often, until the rhubarb breaks down and becomes thick and jammy. Lower the heat or add a spoonful of water if it starts to stick. When the fruit reaches your desired consistency, taste for sweetness. You can leave it a bit tart, or add additional brown sugar to sweeten the pot. This entry was posted in Breakfast, DIY, Fruit and tagged breakfast, children, cooking, DIY, food, homemade, lifestyle, preserving, recipes on March 26, 2012 by emmycooks. I love rhubarb jam but rhubarb and brown sugar jam sounds lovely! I’ve been cleaning out the freezer as well. Haha! In anticipation of refilling it late spring and summer. I’m so jealous! 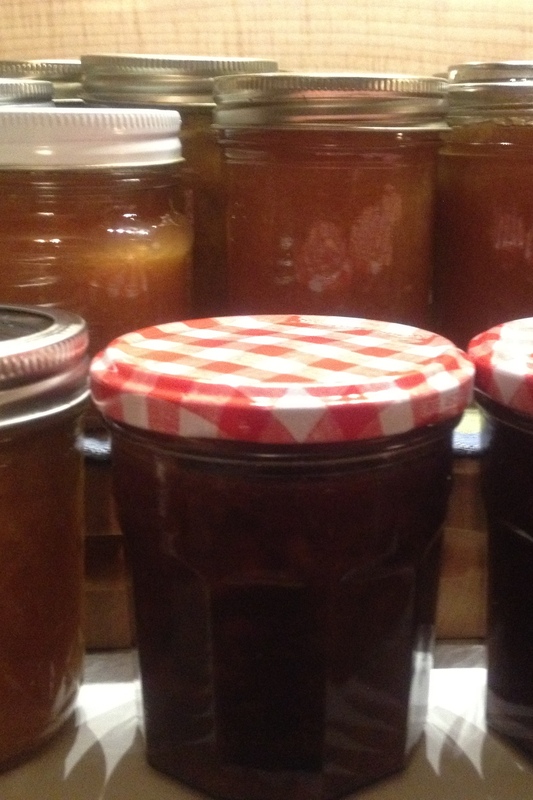 I’m quite good at putting things IN the freezer, but not so good at getting them back out again – and I’m a wretch at canning! Can you come ’round and help me out ;-)? This looks intriguing. Thanks for the recipe! It’s good. It has the rhubarb flavor and tartness (you know how sugar doesn’t eliminate that in rhubarb? ), but the brown sugar brings a bit of its own flavor as well as sweetness. We taste-tested MANY variations of jam recipes this weekend and this was one of my favorites. Oh my gosh, does that look incredible! I love canning! And I can’t believe that you already have rhubarb! I like to think of you in your tiny NYC kitchen putting up tiny batches of artisan jams to keep in your tiny cupboards. :) Rhubarb is quite reliable here in Seattle, but it’s only just getting started…it’s a reminder that I should really get started planting the rest of the garden! Making jam is so much fun. And it tastes so much better than anything you could buy in the store. I used to make a lot of peach and apricot preserves, but those come in in the middle of summer, so making jam tends to turn my apartment into a sauna! I have been making more berry jams. Faster! But given this crazy sweep of warm weather, if peaches come early, maybe I will make them again! No, it’s ME who can’t wait for you to start canning–I can’t wait to see what great ideas you come up with for the rest of us! Love this combo! 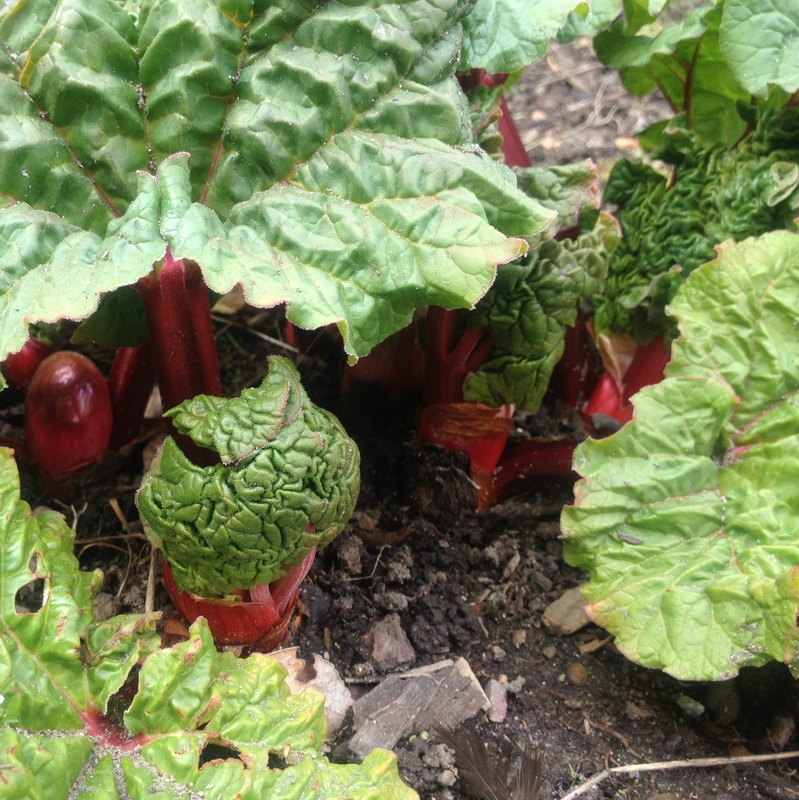 Have some rhubarb almost ready to pick, but have never thought to put it with brown sugar. Wonder how it would go with a little ginger added in too? Must try it and let you know. This sounds intriguing, and I bet a dollop of this on top of vanilla ice cream would be heavenly! So how about a rhubarb liqueur? Or if we’re going to drink it, I have a friend who recommends this “Rhubarberita”: http://www.goinglocal-info.com/files/rhubarbarita-supreme.pdf I’ll be keeping an eye out for your first rhubarb drink of the season!